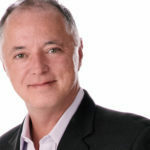 In this podcast, we’ll sit with a Canadian top producer, Patrick Gillis, to talk about how he drives his referral business as an agent. He’ll discuss how he has evolved as a real estate agent from when he first entered the real estate space in 1986 to now where he is extremely active with video marketing. This podcast is full of practical tips for agents looking to build their referral business and get more comfortable with marketing themselves. Jordan Scheltgen is the founder of Cave Social. You can follow him on Twitter @cavejordans or connect with him on Facebook.